Triggerfish are HOT for Destin Fishing Charter Boat ‘No Alibi’ | Destin FL Fishing Charters - No Alibi Charter Boat Red Snapper, Shark, Cobia, Grouper & More! 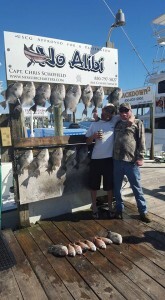 It’s Triggerfish Time for ‘No Alibi’ Destin, FL Charter Fishing Trips! 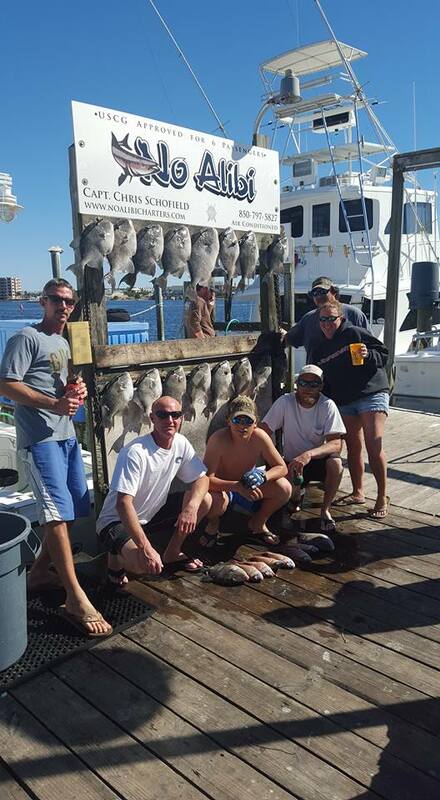 While many of us are waiting around with eager anticipation of a very short Red Snapper season, SOME of us love fishing too much to be patient – so it’s time for TRIGGERFISH – GET ‘EM WHILE THEY’RE HOT! 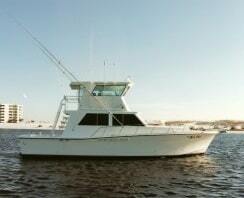 Captain Schofield knows how to get you on the right spots for some serious fishing fun. 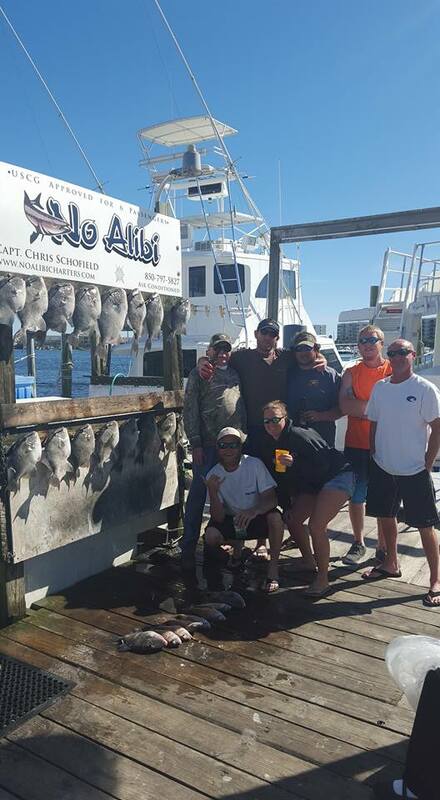 The crew likes to make sure that when you’re done with one of our Destin Fishing Charters your body reminds you that you’ve been fishing – sore forearms, sore hands from cranking a reel with pounds of fish on the line. 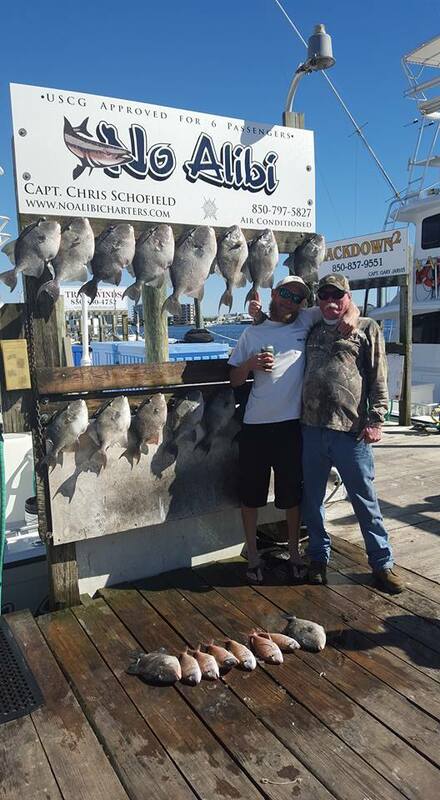 Triggerfish are a BLAST to catch and the stocks are bountiful (As you can see by the images below) enough to where you will catch far more than you keep. 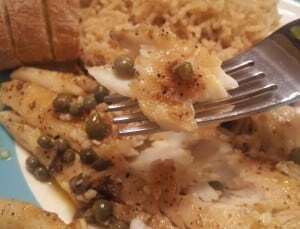 Triggerfish TASTE fantastic, which is interesting, because a lot of the old timers will tell you that Trigger was traditionally a trash fish, but no more – this is GOURMET food! 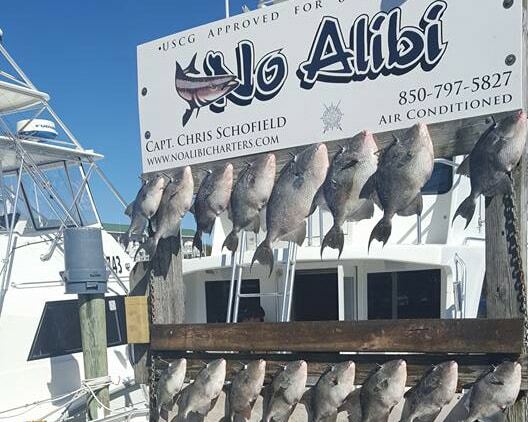 Also, we’ve got a mouth-watering, succulent Spicy Sauteed Triggerfish Recipe down below that you can plan to use right after you’re done with your No Alibi Fishing Charter Trip in Destin, FL. 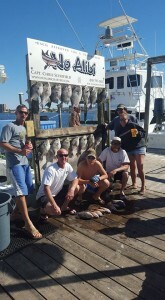 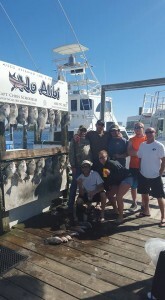 Call today and book a deep sea fishing charter out in the amazing Gulf of Mexico!!! 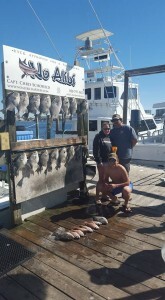 Triggerfish inhabit hard bottom ledges and artificial reefs in water depths that exceed 80 feet. 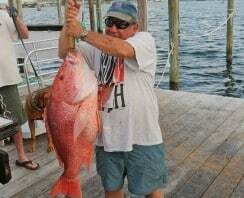 Because they prefer the same type of habitat, they are almost always found in association with Red Snapper. 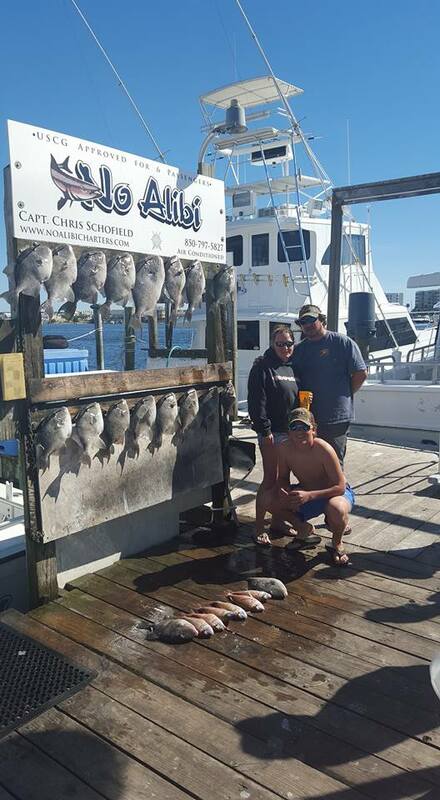 Triggerfish feed primarily on benthic invertebrates including crabs, sea urchins, shrimp, sand dollars and mollusks. 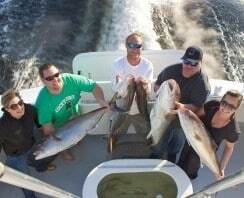 Recreational anglers commonly catch triggers on squid or cut bait but they are also harvested by spear fishing. 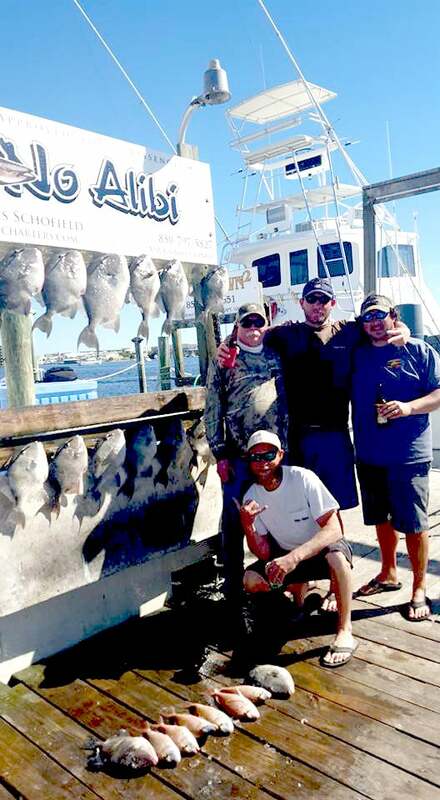 Triggerfish are notorious bait stealers and often frustrate anglers targeting larger snapper and grouper. Because triggerfish have a hard, bony mouth, it is very important to use a small, very sharp hook. 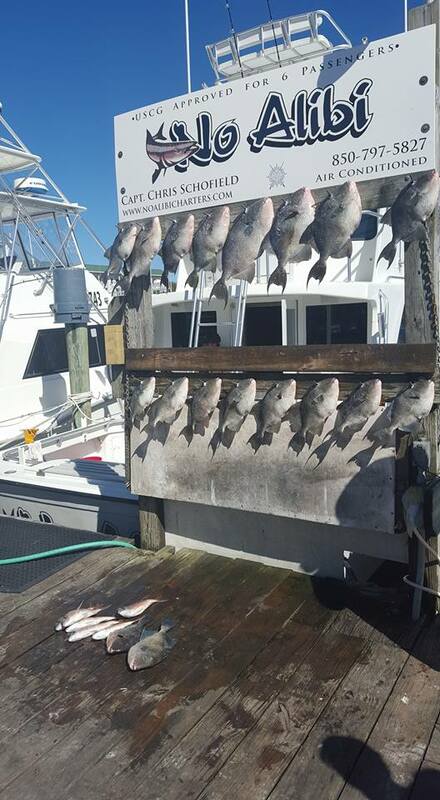 Light to medium bottom fishing equipment with 20 to 50 pound test line is sufficient for triggerfish which average 2 to 4 pounds. NEED A TRIGGERFISH RECIPE THAT TASTES FANTATSIC?